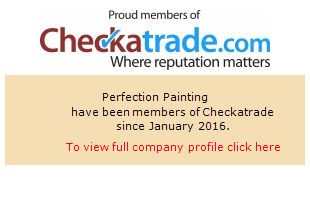 Perfection Painting was established in 1999 by the owner Carl May, who has over 30 years hands on experience as a painter and decorator. He started the concept of Perfection Painting after numerous years of working in the industry for some of the main painting and decorating contractors in Nottingham. Over the years the skills from the owner have been developed and used to build a business based on a high quality service , offering customers a service which meets and exceeds their expectations. The emphasis is on providing customers with a highly customer-focussed service, offering quality and value for money. Perfection Painting simply aims to provide an outstanding high quality painting and decorating service, from start to finish. In addition we specialise in both domestic and commercial projects within the Nottingham, Leicester and Derbyshire areas, furthermore our regular customers particularly value our customer service levels, our attention to detail and professionalism. Please feel free to read our Testimonials and feedback remarks to see for yourselves how we have helped and transformed domestic and commercial, homes and businesses throughout Nottinghamshire. We are proud members of the Painting and Decorating Association and have passed the Government's criteria for the Quality Mark Accreditation Scheme of which we became members in 2003. This Scheme has now changed to the TrustMark Scheme. In addition to this, we are Dulux Select Decorators having passed the criteria to be accreditated to offer a two year guarrentee on all workmanship using agreed materials. To find us our business is located in Nottingham at 13 Carlton Road, Nottingham NG3 2DG. No matter the size, age or appearance of the property, we will always do our best to provide you with our best service. Perfection Painting is a fully insured business treating your property with the utmost respect and care, thereby giving you peace of mind knowing you will receive that legendary personal service on every occasion, what’s more we can help you wherever you are, as Perfection Painting manages projects all over Nottingham, Nottinghamshire, Derbyshire and Leicester. your particular project and are always happy to advise or inform in any way we can. We offer this service free of charge and regularly give advice regarding colour scheming. Perfection Painting employ only highly trained , competent and skilled labour, be reassured all staff memebers adhere to our code of practice, addionally we train our own apprentices to our high standards of workmanship , offering a first class service to all customers.